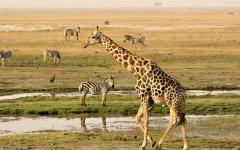 Africa is an untouched paradise, home to ancient civilizations that existed at the dawn of time. 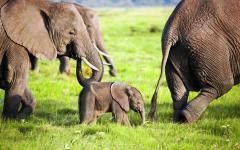 Here is an opportunity to discover Africa’s magic on a 14-day adventure into the wilds. 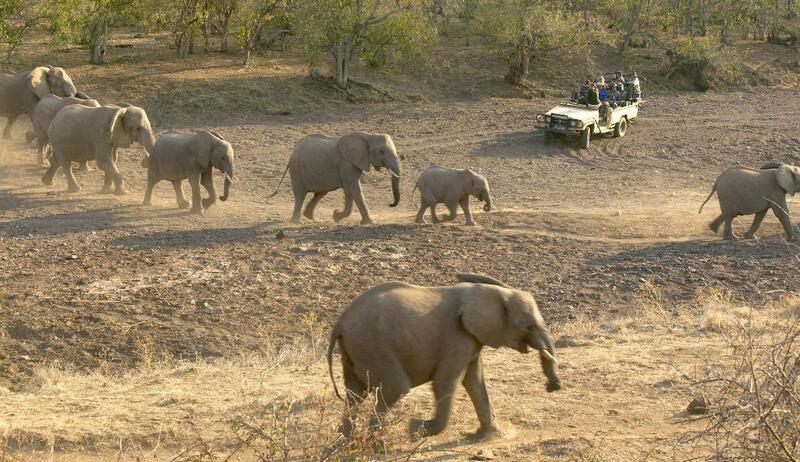 Find out what going on safari is really like as you drive into the bush in special 4x4 vehicles to watch animals going about their daily activities in their natural habitat. Experience what it’s like to dine under the stars in a traditional African boma before heading off for a good night’s sleep in some of Africa’s finest game lodges. 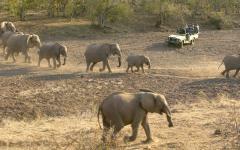 Then waken at dawn to enjoy another game drive to view a variety of animals and birds, including the famous Big Five. Your tour guides know the bush intimately, and they will share their knowledge as well as some of Africa’s deepest mysteries with you. 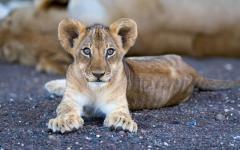 Spend two glorious weeks on your South Africa safari, visiting some of the most famous wildlife areas in the world. 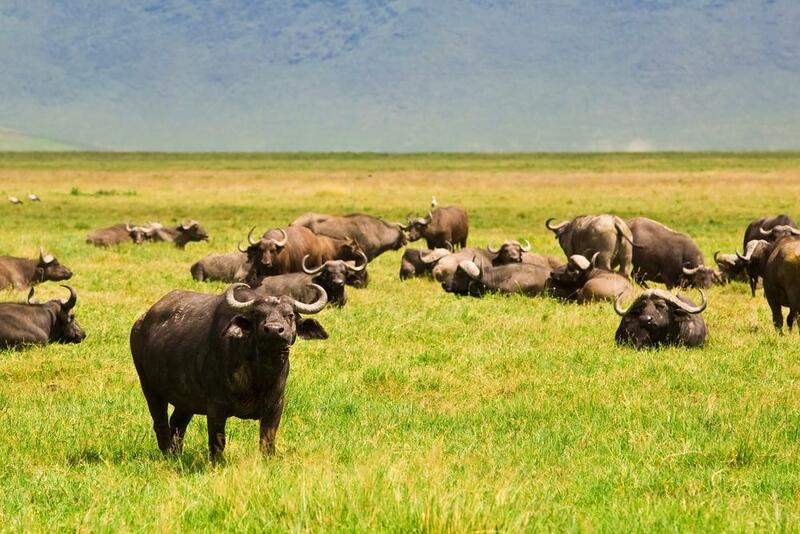 You will enjoy exciting game viewing with experienced guides to see a variety of wild animals, including the Big Five, namely lion, African elephant, rhino, Cape buffalo and leopard. 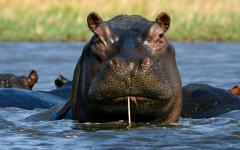 Viewing these animals is the highlight of any safari and a common sight in the exciting locations you’ll be exploring. See nocturnal animals on adventurous night safaris, brave the wilds on walking and cycling trips with a guide or take a dawn or dusk ride in a four-wheel drive vehicle. Perhaps you’ll even see a kill in progress. This is nature at its best, and it’s all on your doorstep, just waiting to be discovered. Experience the true soul of Africa as you learn about the local Venda and Shangaan tribes, their culture and traditions, and watch them create beautiful arts and crafts from intricate wood carvings to exquisite beadwork. See relics of ancient times at the UNESCO Heritage Site of Mapungubwe, remnants that date all the way back to the Stone Age. Learn about the Bushmen hunters through the magnificent ochre San Rock Art in the famous Soutpansberg, the Mountain of Salt that is so called because of the numerous saltpans in the vicinity. A highlight of your visit is a few days exploring the magnificent Mashatu Game Reserve in Botswana’s Northern Tuli Reserve, with its open spaces, assortment of birds and wildlife and unexpected adventures. 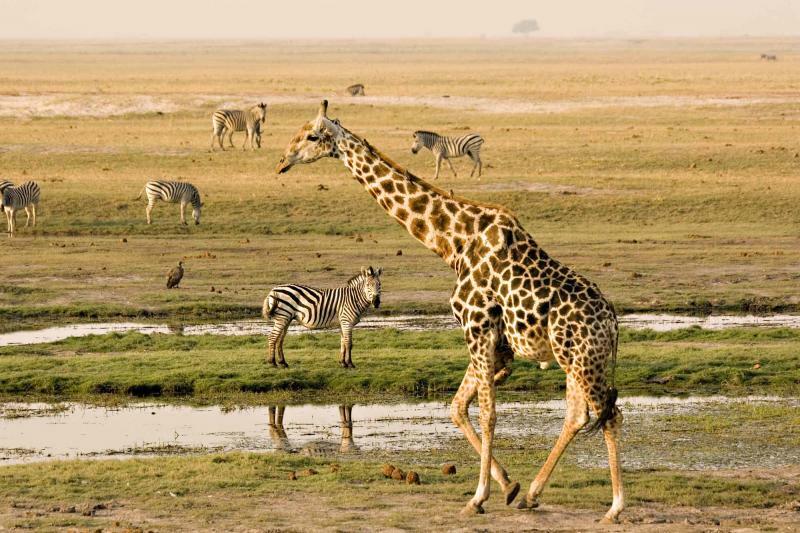 The 75,000-acre reserve is home to what is called Africa’s Giants, which includes the Big Five as well as the ostrich, Kori Bustard and the legendary Baobab tree. Arrive at Johannesburg’s O.R. Tambo International Airport, and catch a connecting flight to Hoedspruit Airport, the gateway to safari country. 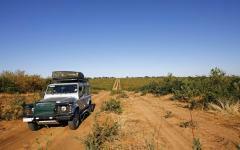 There you collect your 4x4 rental vehicle, and embark on your adventure. It’s a half-hour drive to Timbavati Game Reserve, a private game reserve that was created in the 1950s, when a group of 48 men who owned private game parks got together and pooled their resources for the benefit of conservation. 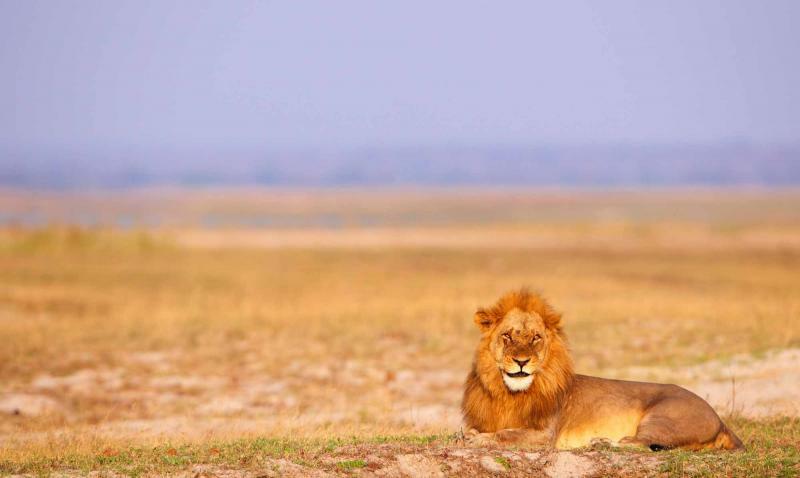 This magnificent reserve is still privately owned, and is considered one of the best wildlife sanctuaries in the world. 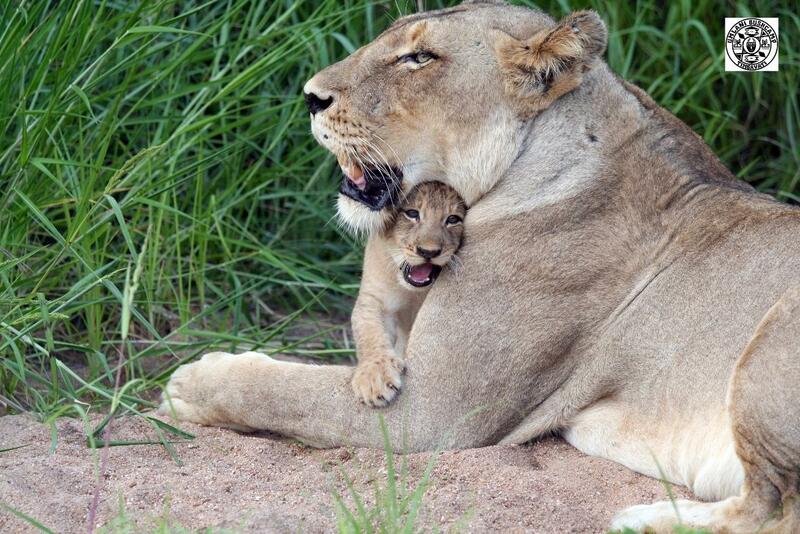 Timbavati has been incorporated into the Kruger National Park and forms part of the Greater Kruger National Park, an area covering approximately four million hectares, making it one of the largest game reserves on the continent. It’s also been declared an International Man and Biosphere Reserve by UNESCO and is home to around 145 different animal species, from black and white rhino to zebra, hippo, buffalo, elephant, giraffe, warthog and many species of antelope. 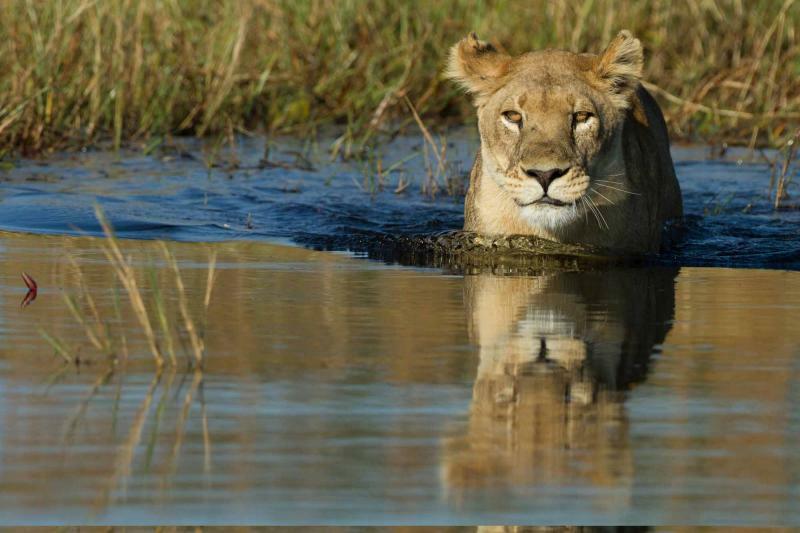 You’ll also find the Big Five here (lion, African elephant, Cape buffalo, leopard and rhino) as well as prolific birdlife. 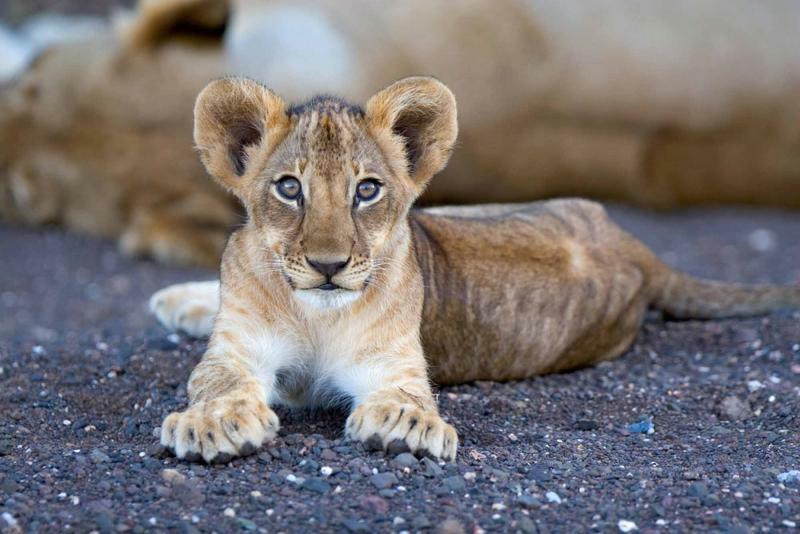 Timbavati was famous for its white lion population – these animals are now almost extinct because of hunters and poachers, and although no sightings of white lions have been seen in Timbavati recently, a few have been seen in Kruger Park. 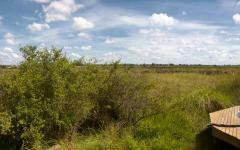 Timbavati is located on the western border of the Kruger Park, between the Klaserie, Manyeleti, Sabie Sands and Umbabat Reserves. There are a number of safari lodges and tented camps in the reserve, and you will be spending the next three nights at one of them, called Umlani Bushcamp, a small, rustic safari camp in the center of the reserve, on a full-board basis. 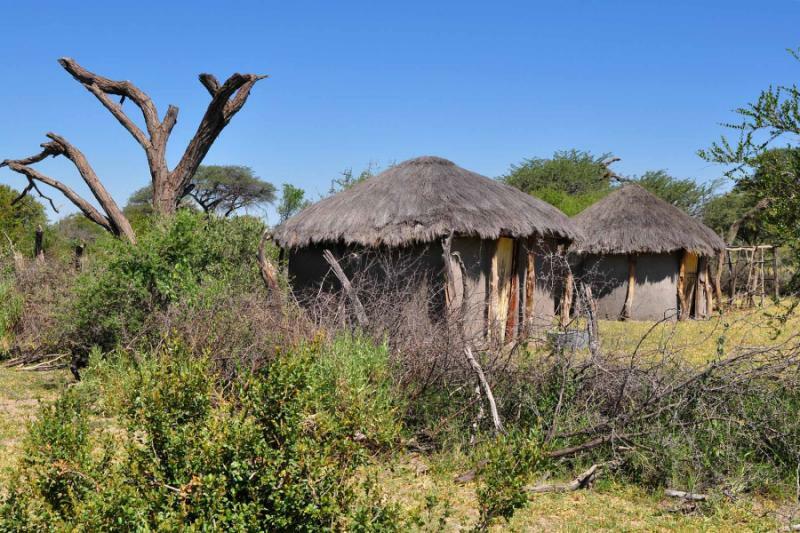 Umlani Bushcamp offers accommodation for up to 16 guests in cosy thatch and reed huts with mosquito nets over the beds, en suite facilities and open bush showers. The camp provides guests with a true bush experience, and as such, there is no electricity; instead, the entire camp uses candlelight and oil lamps. 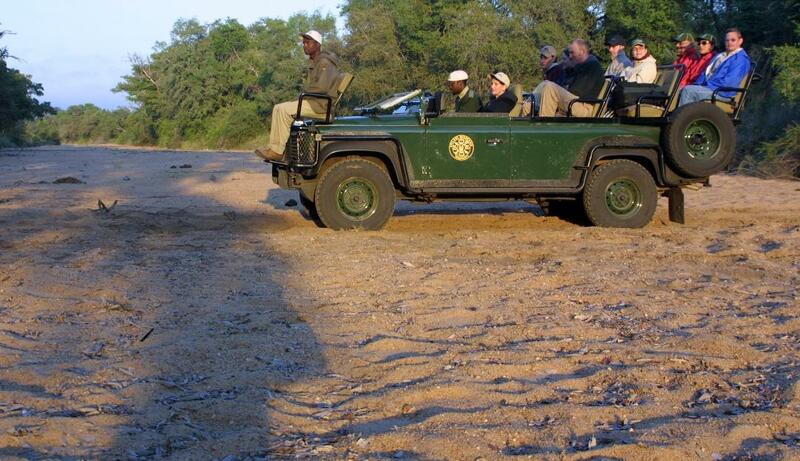 Guests enjoy a very exclusive, personalised experience, including exciting early morning and evening game drives in open four-wheel drive vehicles with experienced Shangaan trackers and guides. Escorted bush walks and tracking game on foot are other adventures on offer, and your rangers and guides will introduce you to the varied flora, fauna and wildlife in their natural habitat. You will enjoy your first safari adventures at Umlani, starting with an exhilarating game drive at dawn and another in the late afternoon. 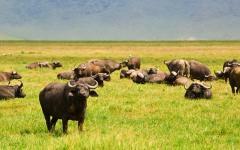 You’re likely to see an abundance of different wildlife as well as some magnificent birds. 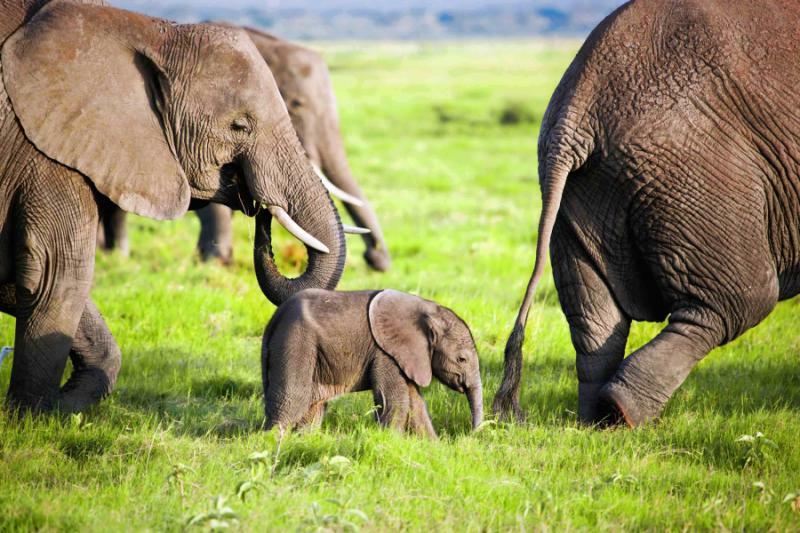 Watch elephant on their daily constitutional, lions dozing in the sun, giraffes dropping their long necks to drink at a waterhole or stretching upwards to nibble something to eat off the top of a tree. 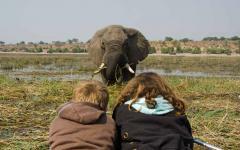 If you’re really lucky, you may even get to see the Big Five. You’ll find a lot to keep you busy at the lodge. You can take a short walk with the game rangers after breakfast, go bird watching or enjoy the magnificent natural surroundings while lazing in a double hammock by the pool. A favorite pastime at Umlani is watching the animals come to drink at the waterhole located near the bush bar. 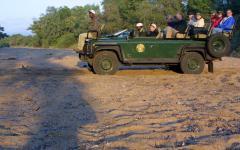 Guests enjoy sitting on the deck of the bush bar overlooking the waterhole. The lodge also boasts a tree house just outside the camp where you can soak up nature in silence. And if you’re brave enough, you can even spend the night in the tree! All your meals are included at Umlani, and you will enjoy bountiful spreads at breakfast, lunch and dinner. Traditionally, guests sit around the fire in the boma and enjoy drinks before dinner while chatting about the day’s experiences. Dinner is then served in the candlelit dining room or outside under the stars. After enjoying your morning safari, you depart after breakfast for Limpopo’s Sacred Lakes region, an area full of myths and legends. Limpopo is the most northern province in South Africa. 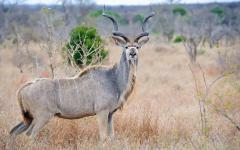 It’s famous for its exceptional game viewing, an abundance of birdlife and the ancient Venda Kingdom. 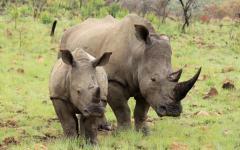 The area is also the gateway to the northern part of the Greater Kruger National Park. 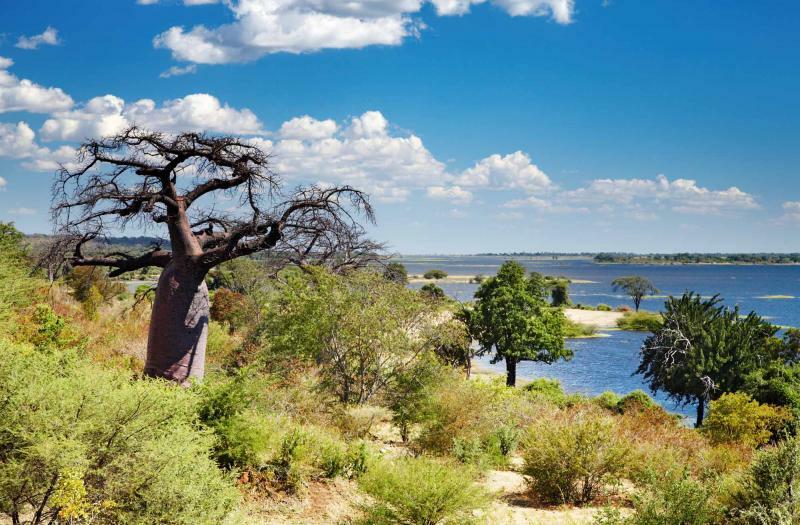 Limpopo is home to the sacred Lake Fundudzi, a lake with three rivers flowing into it, and it never overflows. 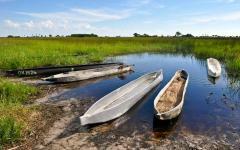 It’s one of the few true inland lake systems found in Southern Africa. There’s a legend attached to the lake that tells the story of a Venda python god who resides in the mountain and defends the lake. Apparently if one throws something into the lake, the ancestral spirits that live there will throw it back onto the bank. The water of the lake is also believed to have healing properties. You won’t be able to get close to the lake, as it is not only haunted, it’s also infested with crocodiles, but there is a lot to explore in the vicinity. The area is famous for its rich cultural heritage, and there’s an abundance of craftsmen creating woodcarvings, pottery and intricate beadwork. Watch them at work, and purchase some of their masterpieces to take home with you. You’ll be spending the next two nights at the comfortable, thatched Shiluvari Lakeside Lodge, located 23 kilometers from the little town of Louis Trigaardt. Set on a natural peninsula, the lodge offers magnificent views of the Albasini Dam and the Luonde Mountains. The main part of the lodge is a renovated old farmhouse, with a restaurant called the Wood Owl Country Restaurant and a bar called the Hog and Hound. If you’re in the mood for some pampering, there’s also a spa offering holistic treatments and massages. You’ll have lots to do at Shiluvari. Enjoy sunset cruises along the Luvuvhu River on a motorized raft, take a dip in the lodge swimming pool to cool off, or enjoy excellent bird watching (you may get to see osprey and African finfoot as well as eight different species of heron, including the black-crowned hero and the white-backed night heron). 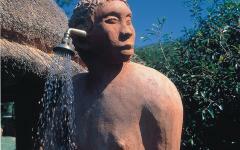 The world-famous Ribolla Venda Art route is also on your doorstep – you will visit here and see sculptures, painted fabric and pottery created by local craftsmen. Today you set off to explore a magnificent wilderness area called Leshiba, located at the top of the Soutpansberg Mountain Range. The word ‘Soutpansberg’ means ‘Mountain of Salt’, and it relates to the saltpans that are located north of the mountains. Leshiba Wilderness is a scenic paradise, with lush indigenous forests, open plains, dramatic gorges and mighty waterfalls. 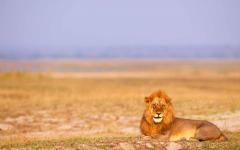 It’s also a sanctuary for a proliferation of wildlife, including zebra, giraffe, wildebeest and the rare white rhino, as well as more than 250 species of birds. Experience the soul of Africa, not only in the silence and the beauty surrounding you, but also in the ancient rock paintings painted by the San people who inhabited the saltpans in the late Stone Age. These mystical images in shades of red and yellow ochre tell the story of another time, when hunters and nomadic herders roamed the plains. You will spend the next two nights on a half-board (breakfast and dinner) basis at Venda Village Lodge, a privately owned lodge in Leshiba Wilderness that has been built to resemble a traditional Venda village. 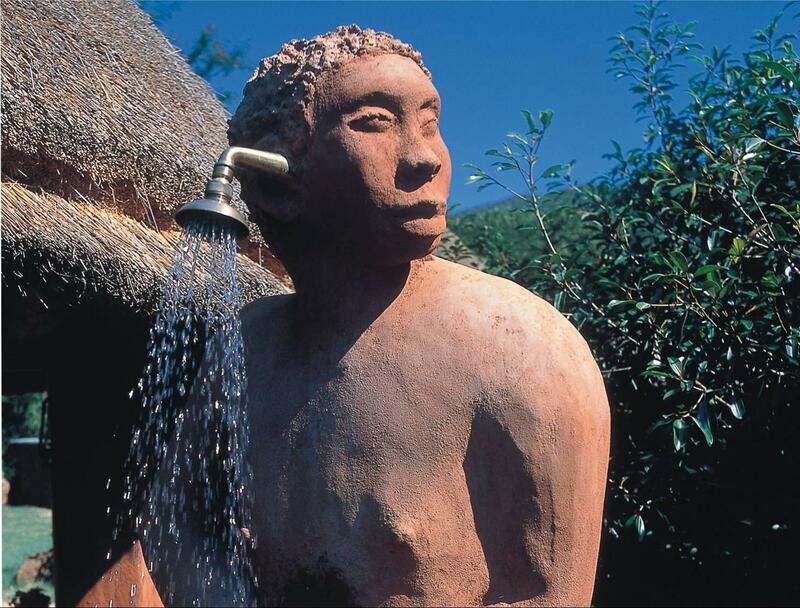 Your home will be one of five comfortable authentic Venda village huts decorated with exquisite Venda artwork and spacious en suite bathrooms with showers. 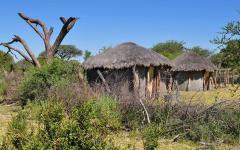 Meals will be enjoyed in a traditional thatched dining area with breathtaking views. You’ll never be bored here – there’s so much on offer, including 12 marked hiking trails into the bush amongst rhino and other wildlife, an archaeological walk, refreshing plunge pools, superb star gazing, and excellent game viewing in a choice of two valleys. If you want some pampering, head for the spa. A highlight of a visit here is game viewing on horseback on one of the Nooitgedacht ponies that have been bred to ride through mountainous terrain. It’s just a short drive to your next adventure, the UNESCO World Heritage Site called Mapungubwe, a relatively unexplored area that covers 6,000 hectares. A thousand years ago this was the home of the first Bantu kingdom, and this ancient valley has many stories to tell. Today Mapungubwe is the most northern national park in South Africa, home to historic Iron Age archaeological sites where dinosaur footprints and fossils have been discovered along with beautiful San rock paintings. 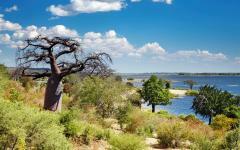 The area is spectacular, with ancient baobabs and other lush vegetation as well as sandstone outcrops, all inhabited by a variety of wildlife, including elephant, white rhino, lion, leopard, giraffe, zebra and eland. You spend two nights here, at the luxury Mopane Bush Lodge on a full board basis, with an opportunity to visit the Mapungubwe World Heritage Site and see where the first South African inhabitants lived. You’ll also get to explore Mapungubwe National Park, enjoy bush walks, game viewing, tracking and bird watching. This tranquil lodge nestles in the Mopane bushveld in the Mapesu Nature Reserve right next to Mapungubwe National Park. You’ll spend your nights in one of eight secluded thatched chalets, each with a verandah with spectacular views, en suite bathroom and outdoor shower. At the lodge there are a variety of facilities, including a pool, small library where you can read up about the area and an outdoor boma for dinner under the stars and drinks by the fire in the evenings. 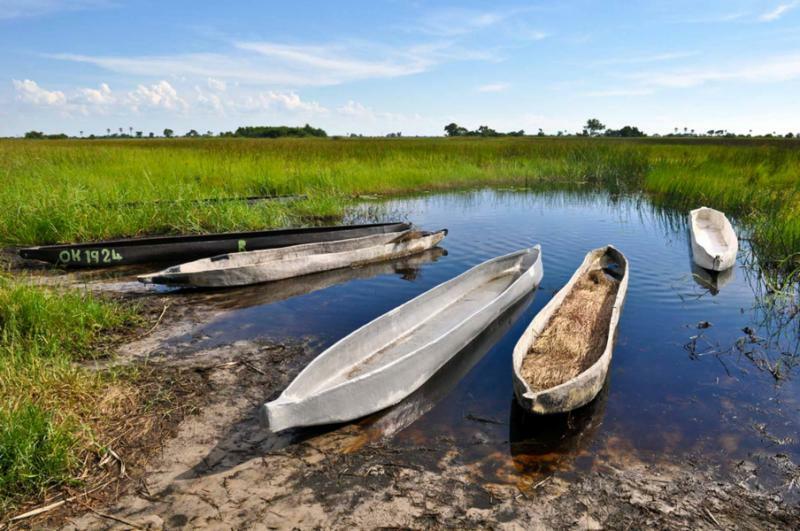 It’s time for your next adventure, a voyage into another bush paradise - beautiful Botswana, an untouched wilderness where wildlife reign supreme and the diverse terrain offers the opportunity to see an unbeatable variety of birds and animals in their natural habitat. 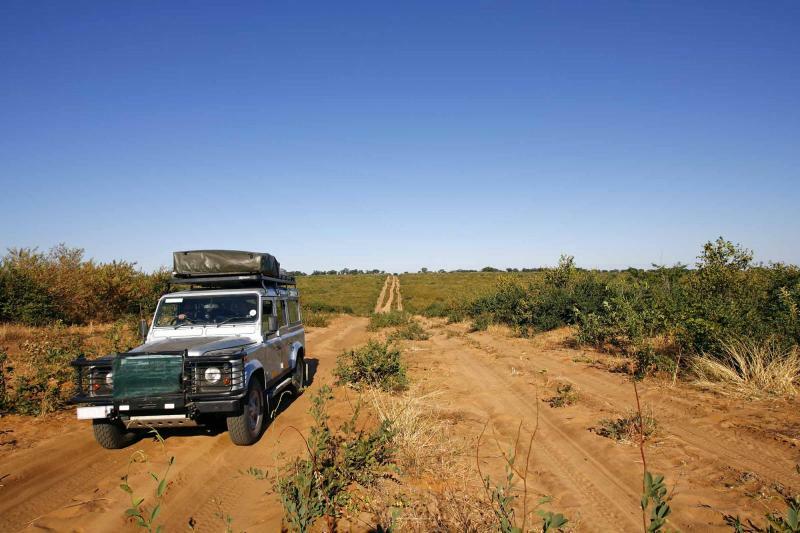 You drive to Pont Drift Border Post, where you leave your car and cross into Botswana. You will be greeted by a representative from Mashatu Main Camp, who will take you to the camp where you will spend the next three nights. 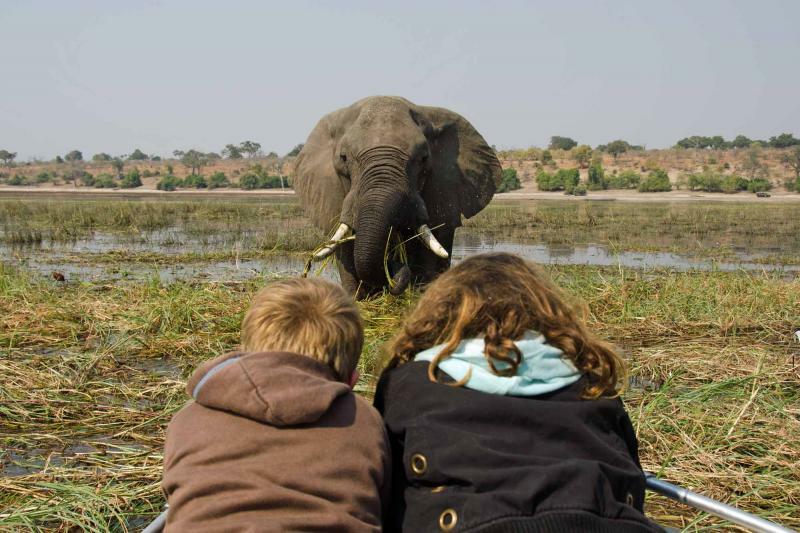 During your stay at the lodge, which is on a full board basis, you will spend two full days exploring Mashatu Game Reserve, set in Botswana’s Northern Tuli Game Reserve on the border of South Africa. This is Africa at its best, with vast open spaces, a mind-boggling selection of wildlife, and clear skies with stars that seem so close that you can touch them with your fingertips. Unexpected adventures await around every tree and boulder you will explore on twice daily game viewing expeditions in safari vehicles. On your game drives you’re likely to see what is known as Africa’s Giants – the African elephant, lion, giraffe, eland, ostrich, Kori Bustard and the legendary Baobab tree – all reigning supreme over a vast and wild 75,000 acres. 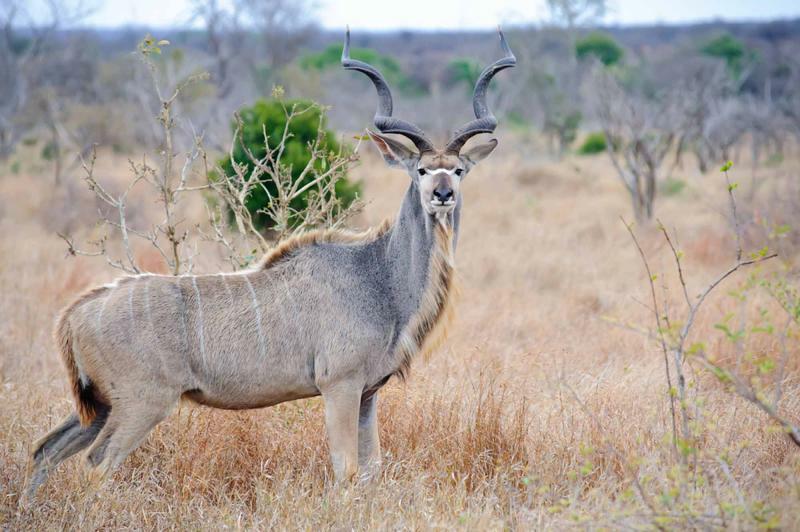 Aside from your game viewing drives at Mashatu, you will also get to search for these magnificent animals on various other safari adventures, including an afternoon predator drive, night game viewing, explorations on a mountain bike, on horseback, and on foot. The camp also offers a selection of activities – there’s a bar and lounge for relaxing, a swimming pool TV lounge, discovery center, crocodile pen and watering hole. And of course, meals in the restaurant are excellent and bountiful. Your accommodation is in one of 14 sumptuous suites located along the perimeter of the camp, designed for privacy and comfort with a private lounge and spacious en suite bathroom. Once you’ve enjoyed a hearty breakfast after your early morning game drive, you will be driven back to Pont’s Drift Border Post to collect your vehicle and head for Magoebaskloof in northern Limpopo. This magnificent mountainous area is located at the northernmost tip of the Drakensberg Mountain range. The locals call it ‘The Land of the Silver Mist,' because the valleys and mountains are often shrouded in spectacular soft mist. Magoebaskloof comprises a series of lush valleys and indigenous pine and eucalyptus forests. It’s home to clear streams, rock pools and waterfalls that offer excellent birdwatching, hiking and mountain biking opportunities. You will spend the night at the charming Coach House Hotel and Spa at Agatha, a five-star heritage hotel built on the foundations of the former Strachan Hotel. This elegant country hotel still boasts some of the original old walls and cast-iron windows. It’s a place steeped in history, a treasure trove of antique furniture and artifacts from Colonial times. Rooms are comfortable and offer every facility, including a private veranda with spectacular views, romantic fireplaces and en suite bathrooms with heated towel rails. The Coach House is famous for its stunning food, including bountiful breakfasts, mouth-watering lunches and candle-lit dinners. And you can’t leave without sampling some of the decadent nougat delights produced here that are sold throughout the country. Enjoy your last breakfast in paradise before heading for Johannesburg’s O.R. Tambo International Airport to fly home. "Our trip went without a hitch."